Who said that you have to spend hundreds or thousands of dollars to get a high-quality suitcase? I know I didn’t. In fact, there are plenty of affordable suitcases on the market, and some of them are even manufactured by the best luggage brands. 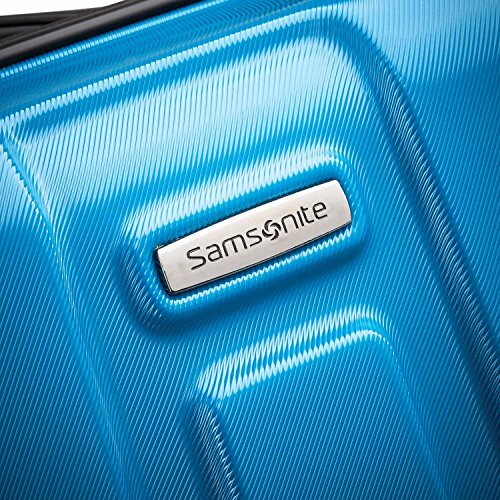 Yes, I’m talking about Samsonite, and today we are going to look at the Centric suitcase. The Centric is a hardshell suitcase that is perfect for anyone on a budget. You still get that Samsonite quality (for the most part), but without those extra hundreds of dollars. In fact, you can get all three suitcases for less than $300 – how does that sounds? Good, right? Maybe too good to be true? Well, we’ll find out in this detailed review of the Samsonite Centric suitcase. Scroll down to learn everything there is to know about it! Why Should You Get The Samsonite Centric Suitcase? 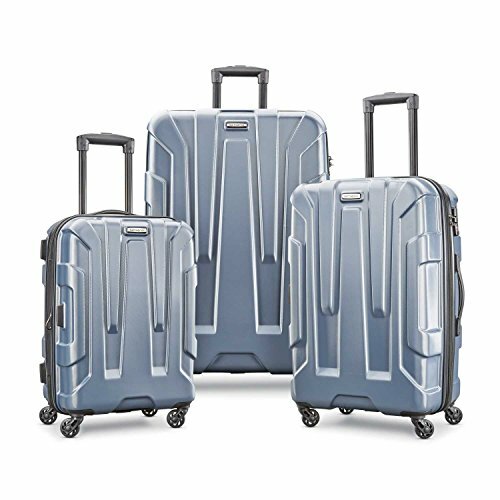 The Centric suitcase comes in 3 sizes. The smallest one is the size of carry-on, and the larger two have to be checked. You can take a look at the basic specifications of these suitcases in the table below. 19.6" x 14.75" x 9.1"
24.0" x 16.5" x 11.0"
27.75" x 19.6" x 12.5"
30.4" x 20.9" x 12.4"
You can notice from just the weights of the suitcases why the Centric is so affordable. It’s a good lightweight suitcase when you compare it to some other brands. But when you compare it to other Samsonites, it is actually quite heavy. The Freeform, as well as the Chronolite are both much lighter – actually the largest Chronolite suitcase weighs less than the smallest Centric. But, the smallest Chronolite suitcase still costs as much a set of all three Centric suitcases, so there’s that. But the weight is practically the only thing you will have to compromise on. This Samsonite suitcase has all of the design features that make a really good suitcase, so let’s see exactly what those are. 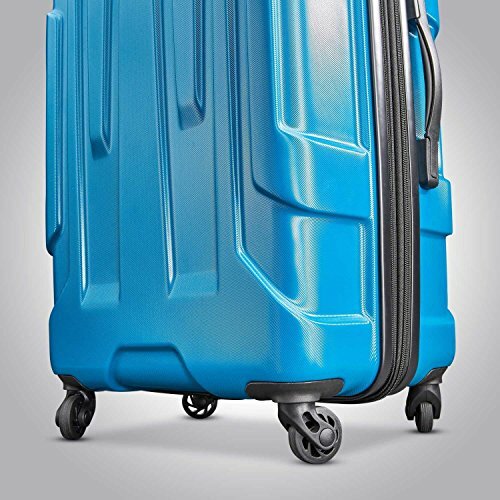 The Centric suitcase is made of 100% polycarbonate, which is one of the best materials for luggage. It is strong, durable and lightweight, but it has one downside. That is that it scuffs and scratches easily – even after the first trip. But, Samsonite knows that, and they tried their best to fight that downside. How did they do that? Well, look closely at the texture of the suitcase. 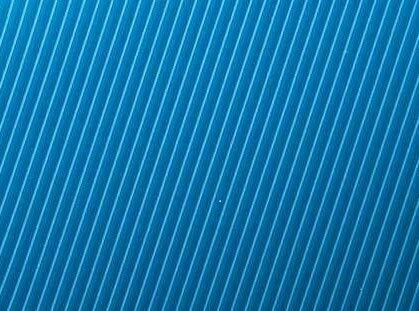 It is not smooth, so that scuffs will not be as visible as they would be on a suitcase that is completely smooth. And the overall design of the hardshell is such that it will protect some parts of the suitcase from the though love of baggage handlers. In terms of variety, you can get the Centric in 6 colors. And naturally, the color also plays a big part in the visibility of those scuffs. But the color also plays a part in the price of the suitcase; the Teal is the most expensive version of the Centric, while the lighter grey colors are the cheapest. So, choose wisely. It’s very important that you have the ability to lock up your suitcase, especially if it’s a big one that will have to be checked. You don’t want some stranger to be able to open it up and go through your stuff. However, if you fly frequently to the US, you do want TSA agents to be able to open it up, should they need. So it’s a good thing that the Centric suitcase is equipped with a TSA approved lock. It is a 3-digit combination lock, and you can set up the combination yourself, if you follow the instructions that should come with the suitcase. Once you do that, you (and the TSA agents) will be the only one who can access the contents of your luggage. What’s a suitcase without spinner wheels? A headache, that’s what it is. And with the Centric, you can say goodbye to headaches, but also arm aches, because it has 4 smooth rolling spinner wheels. A spinner wheel is a wheel that can turn 360 degrees in every direction. That means that you don’t have to tilt the suitcase to get it moving. In fact you can push it in front of you, if you want. Or roll it alongside you – whatever floats your boat. How many times did you have to pack for a return trip, and realized that you had no idea how you stuffed everything in the suitcase in the first place? And then you would probably take out some things, rearrange them and put them in your other bag, and profoundly regretted going shopping during your vacation. If that sounds familiar, you will absolutely love the expandable space of the Centric suitcase. When you unzip the zipper for expansion you get 2 extra inches to pack all those souvenirs you bought! 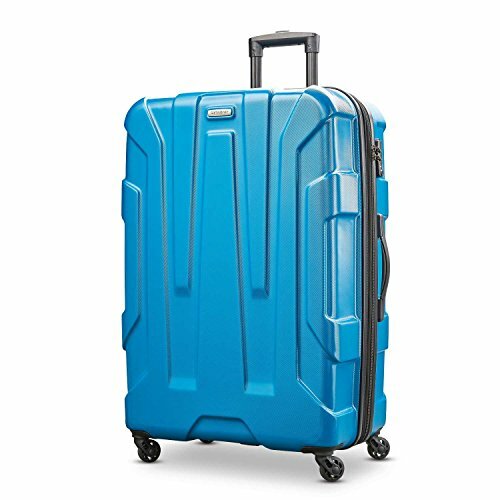 And you have to admit; it was very cool from Samsonite to include that feature in this affordable suitcase, especially since not all of their more expensive ones have the option to be expanded. The wheel handle of the Centric is double barrel, and you can easily lock it into position once you extended. That is probably one of the reasons why this Samsonite is so affordable. 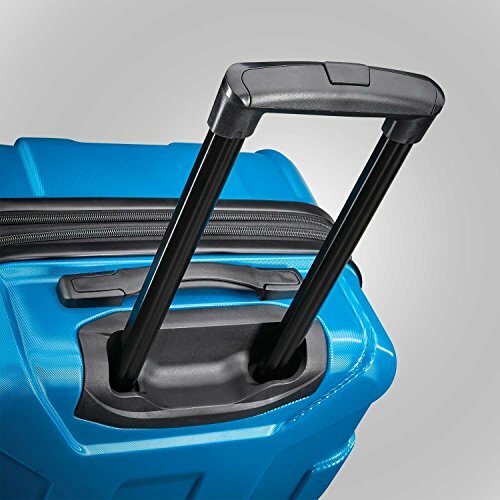 With some of their more expensive suitcases, the retractable handles can be locked into several different positions, which is not the case with this one. The extendable handle is made of aluminum, so it’s lightweight and works perfectly with those spinner wheels. As for the carry handles, there’s one on the top and one on the side of the suitcase. They have a very sleek design, and are sturdy enough that you don’t have to worry about dropping your luggage. So, what do you get when you open up the Centric suitcase? You get two packing compartments, which are both lined. However, the lining doesn’t perfectly fit along the curves of the suitcase. Instead, there is some extra fabric, which I personally am not a fan of. But it’s not a deal-beaker, and definitely not for this price. And there are also zippers on the lining, which means that you can actually squeeze something behind it if you need to. The bottom compartment of this Samsonite has a large zippered pocket that you can use to store some smaller items. And there are elastic straps that will keep all of your belonging safely in place. The top compartment sadly doesn’t have any pockets. But it does have a zippered mesh divider, which will ensure that nothing falls out of it. The divider is also see-through, and that allows you to have some overview of what you packed there. But, the mesh is also very lightweight, especially when compared to some other dividers that have tons of pockets on them. So, Samsonite did try their best to reduce the weight of the Centric as much as they could. For one thing, it’s a Samsonite, and they really know how to make a good suitcase. 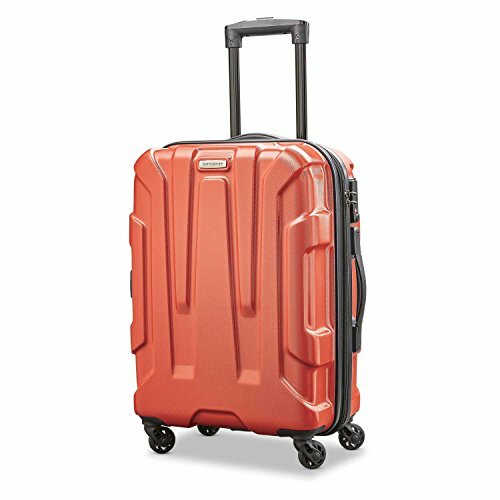 I always say that you can rarely go wrong with Samsonite luggage, and that stays true when talking about the Centric suitcase. It is a sturdy, well-made piece of luggage, and it has everything that frequent flyers will need. 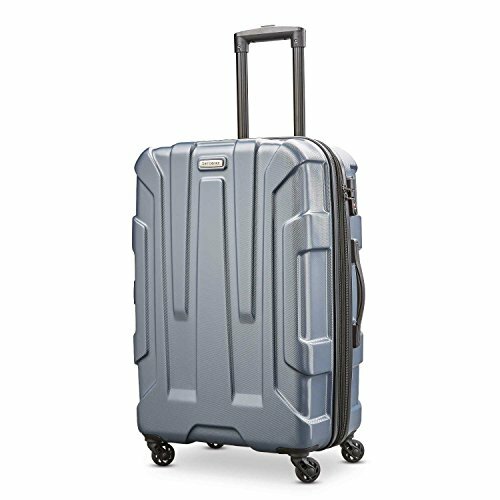 I’m talking about the spinner wheels, the polycarbonate hardshell and that TSA friendly lock. And best of all, it is incredibly affordable. 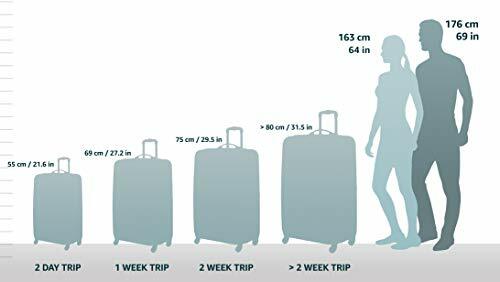 You can get the smallest version of the suitcase on Amazon for less than a $100! The Centric is an awesome choice if you are on a budget. And you can actually get a set of all three suitcases for the price of a larger Neopulse. Because of that, I would say that you would get great value for your money, which is very important. So definitely head over to Amazon and check out the Centric there. You will get a great deal and in case you wind up not liking it, you can always return it for free.